Hello my lovely cupcakes! Isn't it a lovely Friday today? It might be very hot outside, but that is just one more reason for you to enjoy my posts either on the beach or inside when it's not boiling. Today I have prepared for you a brend new ''online shopping'' post where we won't be discussing the usual clothes and shoes. Today we will be talking about brand new store where you can find human hair wigs online! So today we will be checking out together a store called Orderwigsonline. They provide you with the highest quality of 100% human hair cheap full lace wigs and lace front wig, Indian remy hair and virgin hair, Chinese remy and virgin hair, Malaysian and Brazilian remy hair. They also have in their offer lace frontals, synthetic hair, silk top lace wigs, think skin lace wigs and many other interesting products that all you wigs lovers might find interesting. Honestly it is so much easier to just get the wigs these days instead paying all money you have on hairstylists. Trends are changing so fast that it's becoming impossible to keep up with them and keep the quality of your hair the same. 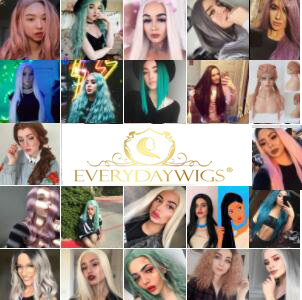 Whether you are a curious lace front wig newbie, or a full lace wig veteran, wearer and connoisseur, in Orderwigsonline you have come to the right place for style, sophistication and one-on-one customer care. This store has already served more than 10.000 happy costumers. I checked out some of the costumer's photos and reviews and all the wigs look pretty dashing and realistic. You can check it out yourself! In the meantime, please do share your experience on wigs, buying wigs online and your favorite type of wigs, I would love to hear that! Share your thoughts my lovely cupcakes!